News in December that housing association Your Housing Group was teaming up with the China National Building Material Company to build six offsite factories around the UK in a £2.5bn deal, coupled with encouragement in the Housing White Paper, are further signs that 2017 could finally be the year that offsite housing enters the mainstream. 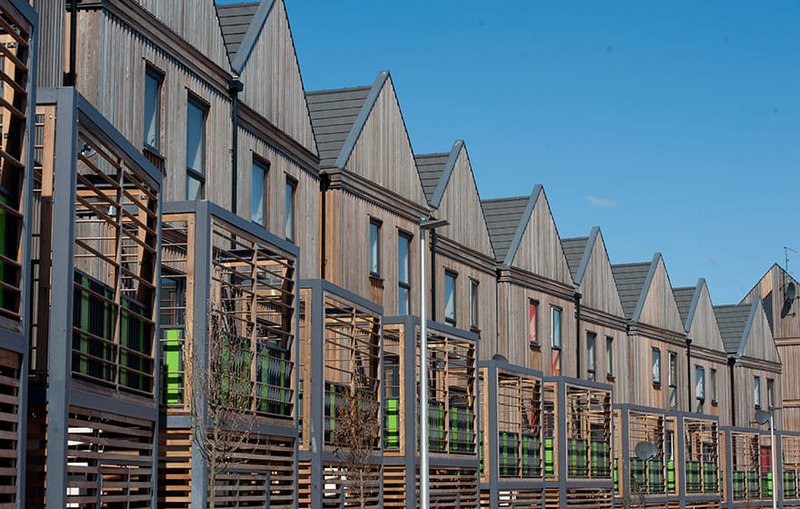 One group already well versed in the process is West Midlands housing association Accord, which has been producing timber-framed factory-built homes through its LoCaL Homes arm since 2011 and is now looking for partners to roll out the concept. The Walsall-based factory produces around 200 homes a year and employs 22 people, many of whom were previously unemployed. Accord first became interested in offsite housing in 2005 and originally imported a highly insulated panellised system from a Norwegian company. However, when the cost of importing the timber frames across the North Sea became uneconomical Accord decided to go it alone. John Bedford, director of project development at Accord, explains: “Our system is based loosely on a Norwegian panellisation method. It enables a greater degree of flexibility and transportation in the UK as we carry around eight to 12 panels for each house. These are manufactured in a day and if required can allow the shell of a new home to be completed in a day. The panels are numbered and fixed together on site. The company’s two flagship timber-framed wall products are the ECO 200 and ECO 100. They can be produced with a range of external cladding options, which offer architectural flexibility and enable customers to select their own preferred exterior finish. Bedford says the key challenges in setting up the offsite facilities included undertaking the appropriate amount of research and development, getting the right people and having the right premises. Probably more important, he maintains, is getting the right people. The company recruited Jason Powell, who spent 10 years at Jaguar/Land Rover, to run its factory. “We believe you don’t need to be an architect, or a designer or a housing expert to make offsite houses, you need to be a manufacturing expert,” says Bedford. On the issue of insurance and working with timber frame, Bedford says using a closed panel system meant risks of fire and problems on site were reduced. Finally, he says, identifying the right premises is also very important. As the company goes from strength to strength it has begun working with other housing associations, local authorities and developers. This has led to it drawing up a warranty-backed licensing agreement, which it is calling its “factory in a box model”. It has already had six enquiries from other authorities for a consultation and two are taking the process further.